Ah yes, Steven Universe has now truly become the magical girl show it always was, deep down. It’s been four months since Steven Universe left us all biting our nails in anticipation with its big reveal of White Diamond—and hell, that’s not even the longest break the show has taken between batches of episodes. But Cartoon Network has finally confirmed that the Steven Universe drought is ending next month, with a run of weekly of episodes being released under the banner Steven Universe: Diamond Days. We don’t know much else about the latest batch—other than, duh, it’s going to be dealing with the four Diamonds of the Homeworld empire finally hashing out amongst themselves, now that the truth about Rose Quartz has been revealed and Steven has seemingly managed to get both Yellow and Blue Diamond on his side. But as the above teaser art shows, we’re in for a treat. White Diamond still being creepy as hell! Yellow and Blue, ready for action! Connie’s got a new sword! Steven is in Pink Diamond’s outfit and rocking the everloving hell out of it! This is going to be big, friends. 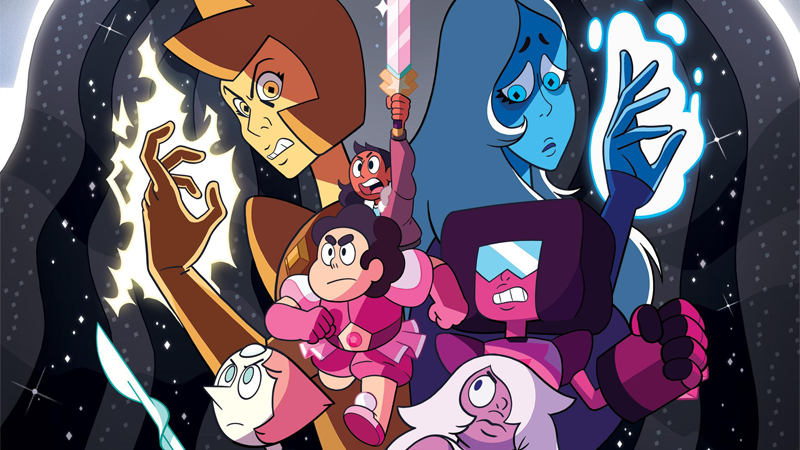 Steven Universe: Diamond Days begins December 17.